If Ace Rimmer can ride a random alligator then it must be ok, right? It’s writing Wednesday and yet another chance to inundate the webverse with more unsolicited writing advice. Woo Hoo! Unless your story is about mutant alligators taking over an office building, there is probably no good reason for it to happen. The point that I’m trying to make is that all story elements need to make sense. Being super cool isn’t a good enough reason to add something new. It has to feel like it belongs. David Farland also talks about this in different terms. He says that the story needs to be honest to itself. This doesn’t mean it has to be true, a good piece of fiction weaves together a multitude of realistic elements in new and intriguing ways. Not sure if you are guilty or not? This is where having another critical set of eyes check over your story can be a life saver. As writers we can get blind to our own work. The story is so alive in our head that it’s hard to see when we might have added something that doesn’t make sense. So, what happens if we have dropped the proverbial alligator? Relax. It’s not the end of the world. One of two things might have happened. The first is when you have added something that totally works in your world, but you’ve neglected to build your world enough to make it feel natural to the reader. The fix is to add a few more passages during the early chapters of the book, or scenes of the story, that make your alligator fit. The other thing that might have happened is a bit tougher to fix without removing the offending element entirely. This is when something has been added to spice things up, but it feels like it doesn’t belong with the story. Say you have a space captain that needs to land his failing craft before it explodes. It’s taken a hit from a Xabulon warship and is being pulled into the planet’s gravity. While wresting the controls, the second-in-command has an allergic reaction that swells his throat shut. We have two big problems. Saving the second-in-command and landing the ship safely. If the allergic reaction has something to do with the enemy that they are facing then by all means use it and slam your readers with a super dramatic scene. However, if it doesn’t, it feel like it’s coming from nowhere and might just serve to confuse or worse take focus away from the real problem. There is one place where random elements work well, and that’s with humor. This is where introducing the delightfully unexpected can pay off. That said, there are limits. Too much and it comes across as goofy or silly. Ace Rimmer, seen in the picture above, is a character in the BBC space comedy Red Dwarf. 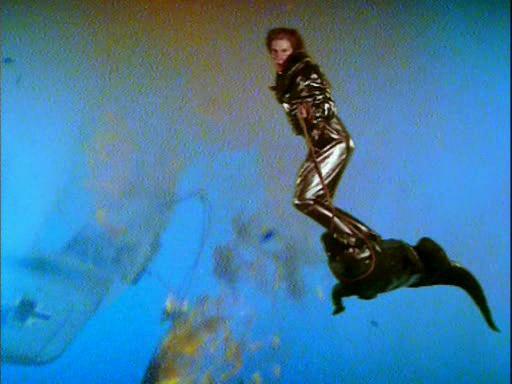 His entire character revolves around the absurd and unlikely, like riding an alligator to escape an exploding airplane. It’s silly and not at all logical and that’s what makes it fun. Whatever you end up doing, Mind your alligators and Happy Writing! 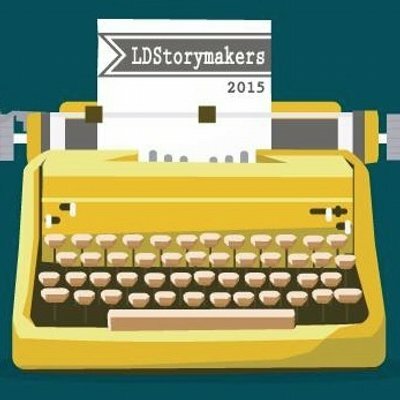 This weekend is the annual LDStorymakers Writers Conference in Utah and writers from around the midwest and further have congregated in brute force. Over 600 of us are milling around the Utah Valley Convention Center attending lectures and intensive workshops to improve our craft. Last night I attended a Publication Primer workshop, which is six hours of combing through the first 10 pages of the manuscripts of the members of your table finding ways to make prose stronger (and more likely to be picked up by an agent or publisher). My table was moderated by the talented Amy Winehouse of Eschler Editing. I’ve already brushed shoulders with writing super star and NY Time Bestseller David Farland, we shared an elevator on the way out. Should you happen to be at the conference come find me and say hi! I’ll be wearing a grey fedora. Expect a full report on Monday! I’m looking forward to the rest of the weekend and will give a full report on Monday.